COLON, Queretaro, Mexico – From a stretch of highway in the heart of Mexico, rows of white rectangular structures appear against a backdrop of hills and low brush. A few minutes’ drive farther reveals an entry checkpoint resembling that of a military base. This formidable entrance opens to what could be the prototype for Mexico’s agricultural future – Agropark, a government-sponsored high-tech greenhouse cluster that spans more than 700 acres. Inside, companies grow specialized products for export using state-of-the-art technology. Agropark resembles a small city. Its network of gravel roads weaves among a maze of 140 giant greenhouses (with 180 more yet to be built) bearing flashy logos. 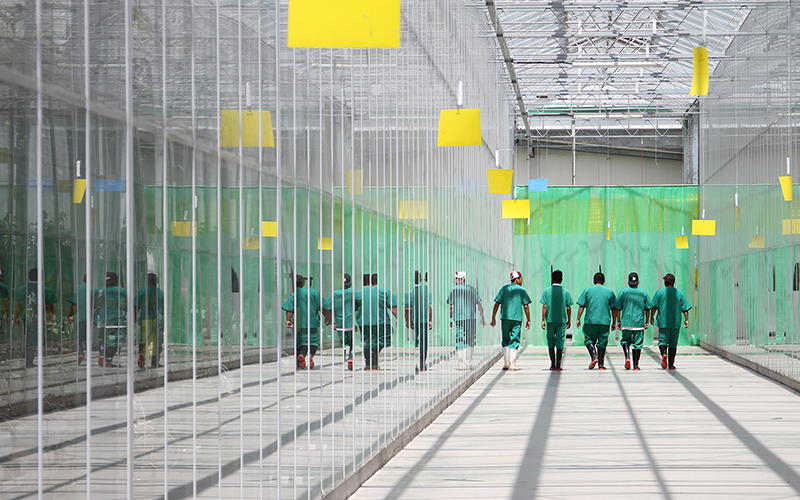 Eleven companies – 10 from Mexico and one from Holland – grow tomatoes, bell peppers and cucumbers inside the glass-walled buildings. Ninety-five percent of their product, over 75,000 tons a year, is exported to the United States and sold by companies such as Walmart and Costco. The Agropark in Colón, Querétaro, is the first of its kind in Mexico, but the government is investing in similar projects around the country – all facilities that provide space for companies to grow specialized products for export. A network of these strategically placed agro-industrial parks could be a key part of the future for Mexico’s agriculture industry, which has changed drastically since Bill Clinton signed the North American Free Trade Agreement (NAFTA) in 1994. But the future of Agropark expansion could be affected by the renegotiation of NAFTA that began in August between the United States, Mexico and Canada and is expected to conclude within a year. President Donald Trump has called NAFTA “the worst deal ever” for the U.S. and he has vowed to back out unless it can be renegotiated to reduce trade deficits. To accomplish that, Trump during his campaign proposed a 35 percent tariff on goods imported from Mexico. Alfonso Meneses Melo, Agropark’s administrator who has been working here since it opened in 2006, doubts that Mexico’s agriculture industry will be affected much by the renegotiations. He said the United States depends on Mexico’s cheap labor and bountiful harvests to stock American stores. 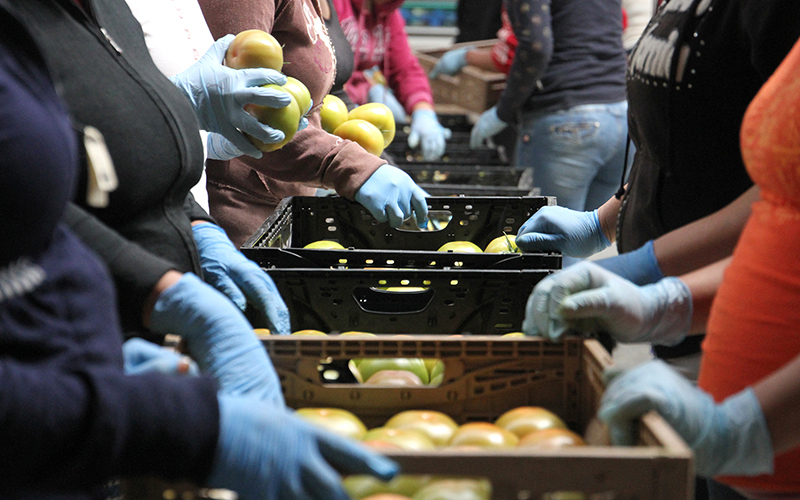 The U.S. has become highly dependent on imported produce from Mexico. According to a 2013 report funded by the Santa Cruz County (Arizona) Economic Development Corp., 120,000 trucks a year carrying $2.5 billion in produce pass into the U.S. at Nogales. The imports are especially crucial to U.S. consumers during the winter months. 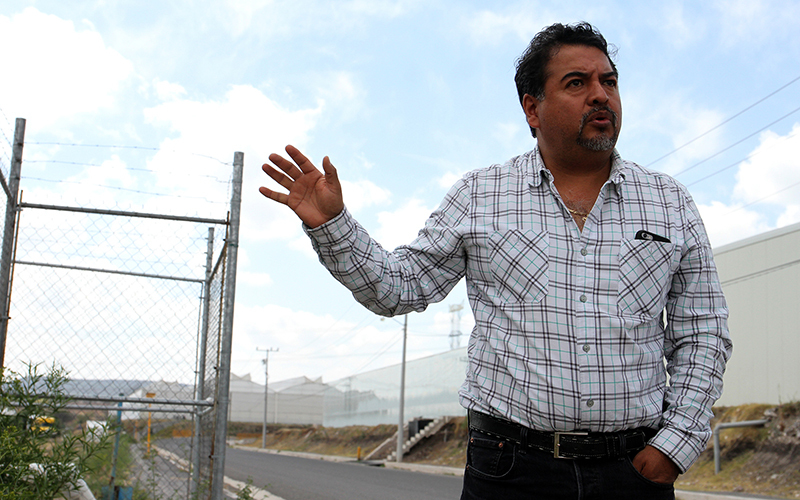 Meneses said central Mexico’s mild weather allows nearly year-round growing. In Querétaro, the temperature rarely drops below 50 degrees Fahrenheit or climbs above 85 degrees. Eighty percent of the crops produced inside Agropark are tomatoes, 19.5 percent are bell peppers and 0.5 percent are cucumbers. 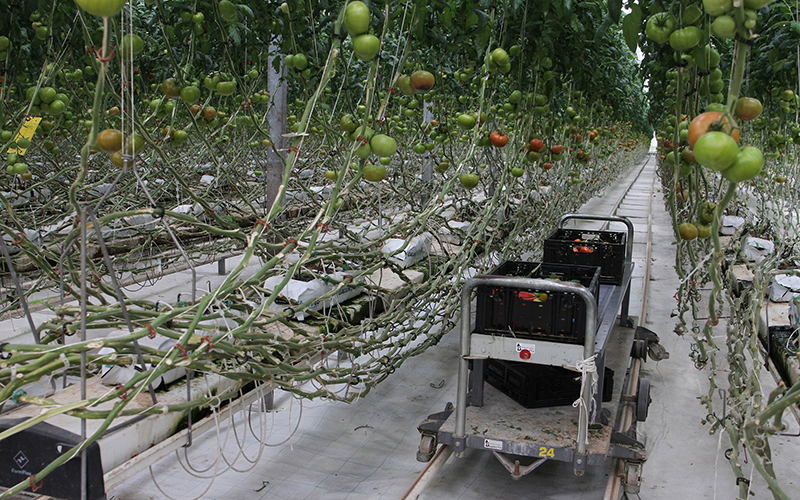 HydroFoods, which occupies more greenhouses than any other company in the park, mainly grows tomatoes. They range in shape and size from the golf-ball sized “Campari” to the beef tomato, large enough to cover a hamburger patty. HydroFoods’ 50 acres of glass greenhouses, each of which comes with a $1 million price tag, contain verdant rows of plants stretching from ceiling to floor. The company prides itself on its cutting-edge techniques, which include having engineers carefully inspect the color and height of the plants to determine whether they need trimming or watering. In place of pesticides, the company releases pest-eating insects among the plants, and crates of bees expedite pollination. Water is delivered to each plant through a complex pipe system. 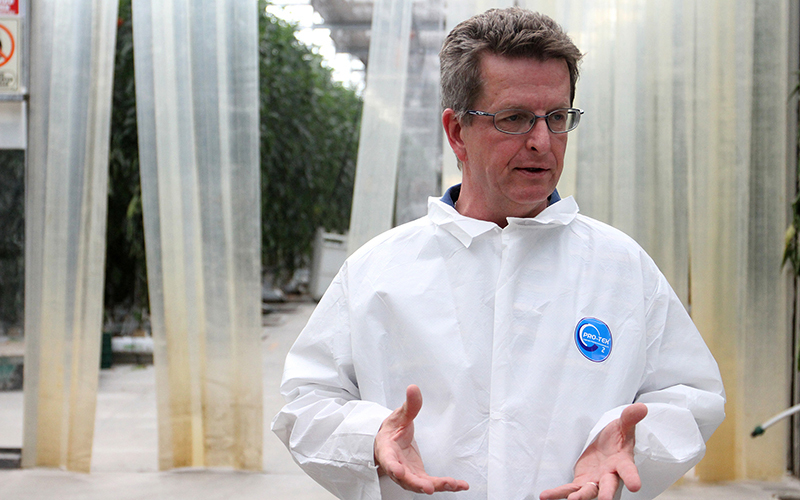 The company’s greenhouse workforce is primarily young men – some teenagers – and young and middle-aged women. Meneses said the majority of workers in the park – around 60 percent – are female, because they are said to be more careful with the plants. “The men have learned not to be so rough, as well,” he added. Agropark has so far created more than 2,000 jobs in the Colón municipality. Phase II of the park’s construction will add 2,600 more jobs and provide housing for workers. Currently, many workers have to be bused in from outside of Colón – the commute for some is over an hour. Mexico’s federally set minimum wage ranges from $4 to $8 a day, depending on where in the country the job is. A Mexican agricultural worker’s payment for a day’s work, Meneses said, would be equivalent to what a worker in the United States would earn in one hour. But that salary is generally far higher than the income many small farmers can generate by cultivating their own land. Rodolfo Martín Hernandez, a manager of quality and safety at Prime Harvest, said he’s noticed a trend: Men and women who have traditionally cultivated their own land in Colón and the surrounding area are instead choosing to work at places like Agropark, which pay better and offer benefits. Agropark “has a negative effect” on the viability of smaller farms, Martín said in Spanish, mainly because men and women who have traditionally worked in small-scale agriculture are enticed by the benefits – such as free meals, transportation and life insurance – that the larger companies inside the park provide. He added that most companies treat their employees well but he still feels they aren’t paid enough. Mexico lost more than 900,000 farming jobs in the decade after NAFTA’s passage, as the trade agreement opened up the market to U.S. government-subsidized corn producers. Small farmers, who could no longer compete with larger exporters, found themselves out of jobs as large corporations took over the agriculture industry in Mexico. Two hours west of Colón in the state of Guanajuato, outside the popular tourist destination of San Miguel de Allende, lies the agricultural town of Cerritos. The local high school is surrounded by fields of water-thirsty crops owned by large producers, and bordered by bumpy dirt roads. It’s a cluster of small white buildings situated in a small courtyard with picnic tables that comprise an outdoor cafeteria. Henry Miller is an American ex-pat who moved to Mexico in 1995. Once a week, he drives four-and-a-half hours to Cerritos High School from his home in the mountainous Sierra Gorda region in northern Querétaro. He’s made it his mission to educate his students about climate change, teaching them sustainable practices and environmentally friendly farming techniques. 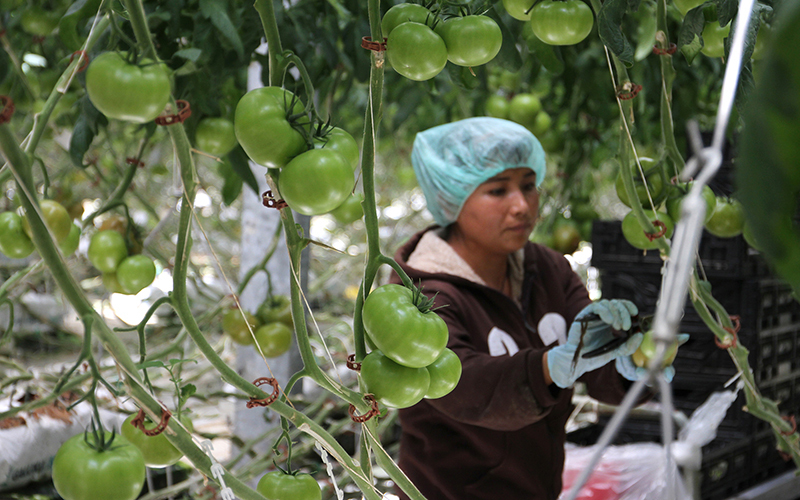 This, Miller said, created a generational gap – young people in Mexico are no longer interested in agriculture because it isn’t economically viable and they can’t compete with larger producers. Miller’s organization, El Maíz Más Pequeño, aims to provide the resources and education to help get youth back into farming. Miller guided a group of high school girls in the construction of a cement cistern, or rainwater collection system, attached to one of the classroom buildings. The girls built it themselves. He joked that the girls’ hands were so dry from handling the cement that they couldn’t hold their boyfriends’ hands—a comment that drew peals of laughter. 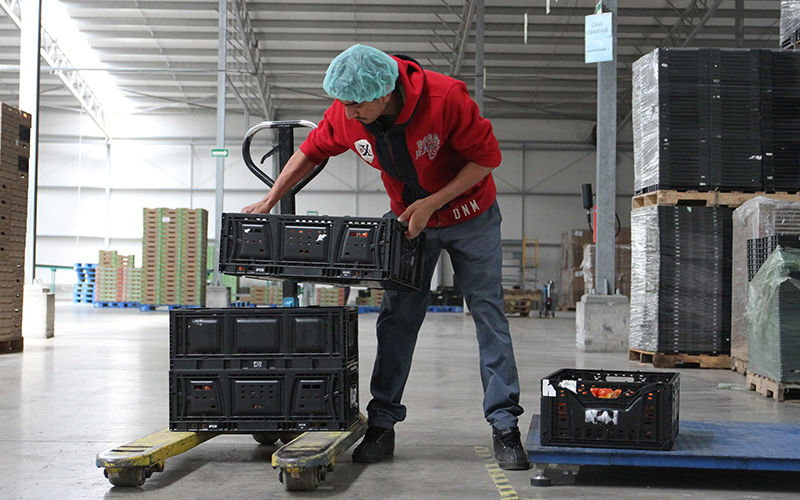 Most of Agropark’s produce ends up in places like Walmart and Costco in the U.S. – very little stays in Mexico. 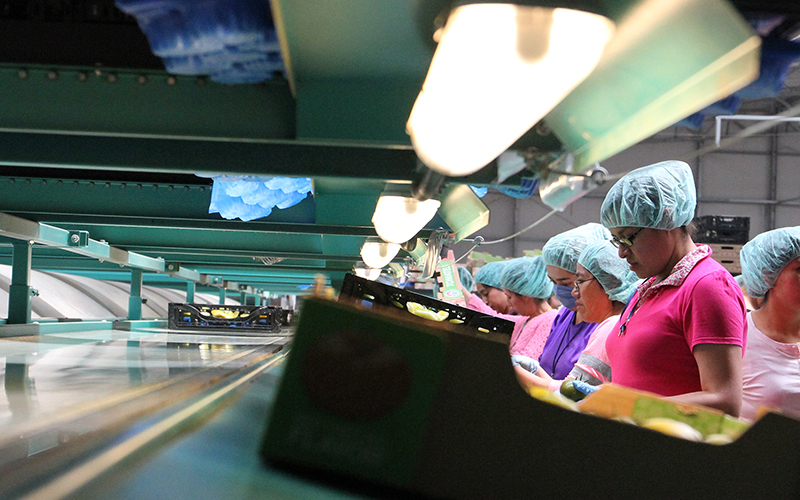 That’s because the majority of Mexicans, especially in poor communities like Cerritos, cannot afford the quality of fruits and vegetables that large companies ship north, according to both Meneses and Miller. Ironically, rural communities are often surrounded by large agricultural exporters that sell produce thousands of miles away. In Mexico, companies do not have to pay for water used for agricultural purposes. While the students at Cerritos High School in Guanajuato are surrounded by fields of green crops owned by large growers, they said their families only had access to running water a few times a week. The students in Cerritos are enthusiastic about the regenerative farming techniques Miller teaches them, but none plan to pursue careers in agriculture. “We don’t have the resources,” said María Brenda, 18. Out of a group of seven girls who worked on the cistern, only one had parents who did not farm. After graduation, most of the girls planned to attend technical school and then work in the industrial parks outside of San Miguel. The government-mandated curriculum also plays a role in shaping students’ career paths. Twice a week, they must attend a two-hour class on the organization of industrial plants and factories. Miller said this class was part of an attempt to train students to work for large production companies. 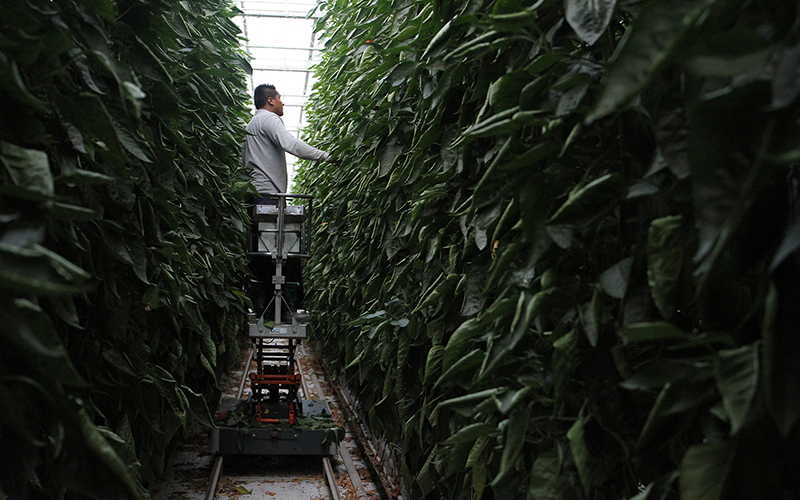 Back inside Colón’s Agropark, Dutch company FreshMex’s towering pristine rows of multicolored bell peppers are a stark contrast to the dusty rural high school. But director Oscar Woltman has a business strategy for working with smaller farms around Agropark – one that could potentially help families and small producers stay in farming. FreshMex is the Mexican branch of Dutch-owned exporter Levarht, which ships produce from growers all over the world. Here it owns one greenhouse and has a mere 7.5 hectares, or 18.5 acres, of land for production (another 2.5 hectares, or 6 acres, will be added by summer), but the company’s focus is on exports, not on production. This is where small producers come in. 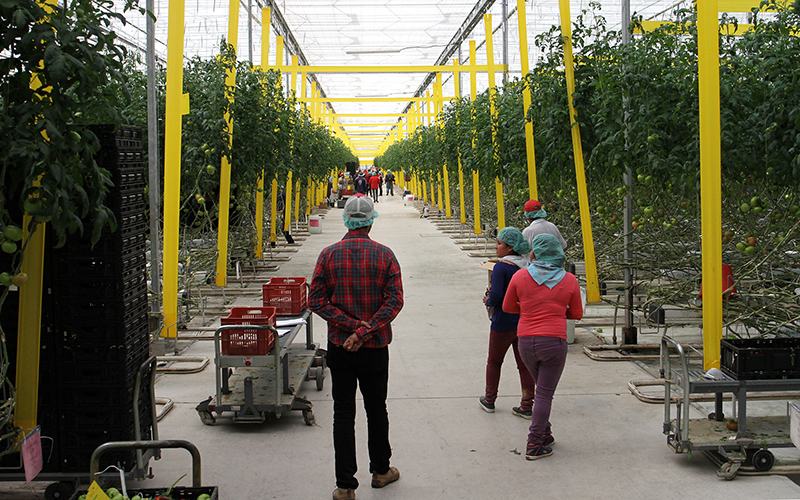 Smaller greenhouses in the area surrounding Agropark cannot ship their own product to North America, because they don’t produce enough to fill a truck, and can’t afford to pay for empty space. FreshMex solves that problem by packing and exporting it for them. Two out of every three boxes of produce FreshMex exports are from these suppliers. Woltman, a middle-aged man with silver glasses, graying hair and a biting sense of humor, had never set foot inside a greenhouse until he came to Querétaro in 2006 to run FreshMex. Woltman, like Meneses, remains optimistic about the current NAFTA renegotiations between the U.S. and Mexico. He said the 25-year-old agreement did need to be updated (“A phone after two years is called obsolete. So why isn’t the trade deal?”) but doubted the U.S. administration would resort to draconian measures. “Things will change but I’m not so worried that (Trump’s) going to close the borders because I think he’ll realize that he’ll damage his own constituents as well,” Woltman said. But Woltman also acknowledged the devastating effects high tariffs could have on his business. “I really get killed if they close the border. 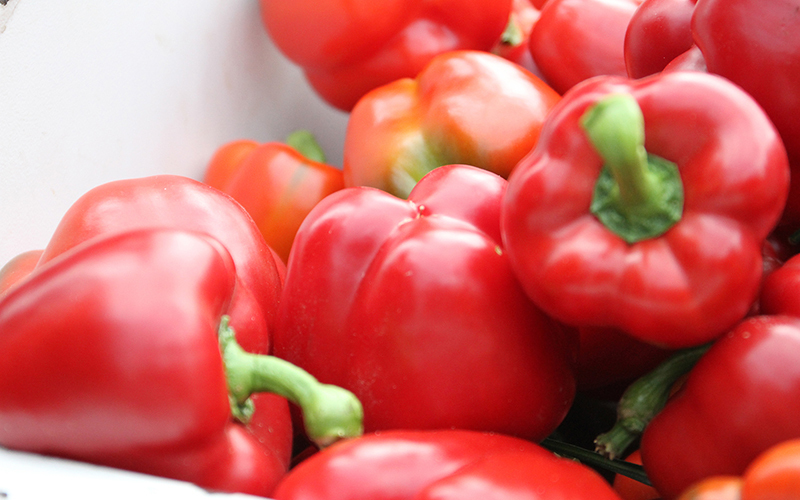 I have no way to export 150 tons a week of bell peppers to China, or Japan–doesn’t work. I could ship maybe 5 or 10 tons, but not 150,” he said. Ibarra Pardo, the FOCIR director, said the government’s investment in Agropark’s construction was a “public-private partnership,” in which private investment was solicited through a bidding process. The company Parque Agroindustrial Activa won the bid to develop the park. FOCIR no longer has a stake, and the park is now owned by Mexican private investors. Ibarra Pardo said he didn’t think the Trump administration was particularly concerned about agricultural trade between the United States and Mexico, and that the main focus of Trump’s demand to renegotiate NAFTA was the manufacturing sector. Raymond Robertson, a professor at Texas A&M University who also chairs the U.S. Department of Labor’s National Advisory Committee for Labor Provisions of U.S. Trade Agreements, called the Agropark concept “a great example of Mexico taking advantage of market access.” He said Agropark’s pesticide-free growing methods, water recycling practices and high quality standards would give it an advantage over traditional exporters in Mexico if the U.S. were to implement tariffs on produce, leading to price hikes for consumers.